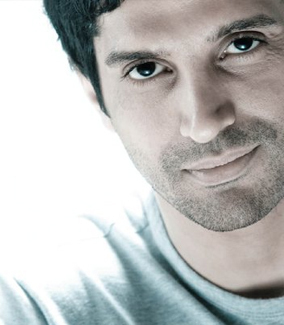 Farhan Akhtar has had quite the year! Not only has he starred in one of the most loved hits of 2011, Zindagi Na Milegi Dobara, he also has directed one of the most highly anticipated films of the year. We are, of course, talking about Don 2. It has been six years since Farhan took us into the dark world of Don and this time he has added to the cool factor with some killer action as well. Of course, this is Don so we probably should expect some intense suspense and a pretty major twist as well. 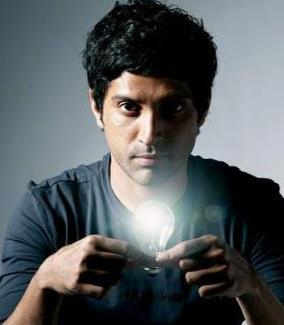 Farhan sat down with us and talked about how the sequel came to be. He also gave us quite a nice reveal about the story line , and explained how Shah Rukh Khan is Don! What inspired you to make this second film? What could you tell us about the story for this one? When we see Don again he’s been really like taking it easy, relaxing for the last five years and now he’s back and he wants essentially to get out of this business. He wants to just start over. He’s even willing to help the police and he’s willing to help the Interpol to bust many rackets and to expose people who are involved in all of this, in exchange for his freedom. But they don’t believe him. From there he sets out to try and get what he wants, which is that he wants out and at the same time he doesn’t want to be in jail, he doesn’t want to be behind bars. So how we succeed in going about this and getting his way at the end is the story of the film. Tell us about working with Shah Rukh Khan. It’s a pleasure working with him. I find him so kind of… how do you say… intrinsically close to this character. They have many personality traits that I find very similar. You know: their wit, their flamboyance, their magnetism, their charm, and just their ease with who they are. He doesn’t carry the burden of stardom on his shoulders and Don doesn’t carry this burden of being the drug lord on his shoulders. You know, they are just very easy people. So that just makes him a very natural fit for this character. He brings a lot to it. He loves playing Don, which of course is very helpful when you are working with an actor if they are enjoying doing it and if they are enjoying the part. It’s nice to have got the chance to work with him again on this film. Did you enjoy visiting this world with him and with the character and the story? Absolutely, absolutely! I’m a huge action film buff. And to me this film is a lot closer to my take on what an action movie is like, you know, the true definition of an action movie. 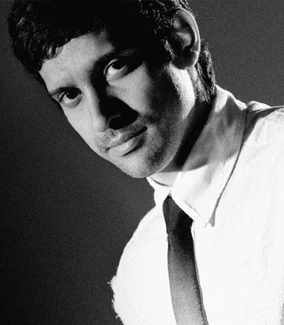 I’ve got a chance to do that and to work with him on it; he too is someone who loves action films. So to like collaborate with him and a very, very professional team from Germany who did all the action in the film was truly exciting. So this one has a lot more action? Oh yeah! Like I said there is a lot going on in this movie. I would much rather people to really go and experience it for themselves. I don’t want to give away too much about what’s going to happen. But it really is–it truly is– one of those ‘thrill-a-minute’ films. And because of the character Don being established in the first one, because of the character Roma being established, Vardhan being established, I fortunately didn’t have to waste too much time at the head of the film, you know, to explain to people who these characters are. I could do it in a very short telegraphic kind of manner and just kind of boom go straight to the story. That was an advantage, for sure. When I talked to Ehsaan he said the album was very Don-centric. Is that how would you describe it? What are your favorites? Yes, that is right. I love the album. To me the special thing on this album was to work with Usha Uthap who sang the ‘Hai Yeh Maya’ song. To me that was very, very special because I have been a fan of hers. She’s been singing since the 60s from the time of R. D. Burman. To get to collaborate with her on a song was an amazing experience. As an album, it’s very coherent to the film. You know, it’s not one of those variety song tracks that has something in it for everyone. It is a very specific album that belongs to very specific genre and a very specific kind of sound and film. In that sense it makes it a very true soundtrack to the movie. It’s a rare that you get the opportunity to do that because more often than not in our films that we make usually involve some humor, some comedy, some realization, some love story, some celebration, so you have different songs, you know? You have different songs about different things but this one was very specifically about Don and just about this one plot that is very, very tight and just moving from start to finish in one direction, you know, with no diversion what so ever. The Don Says promos have been very popular. How did that come about? I remember when we were filming in Berlin I started writing Don’s philosophies: if Don had to say something about life, if Don had to say something about death, about his friends, about his enemies, about his business, what would he say and how would he say it? So I just started writing these things down and thought it would be interesting to reintroduce the character of Don through his philosophies, you know, and through these one liners so people can get reoriented with who he is, how he thinks, and enjoy that at first before they get into understanding what the film is about and what that story is. They let me reintroduce the character to them. And instead of just doing a very generic kind of promo you know with the oh look “Shah Rukh is back’ it was nice to approach it in a way where you enjoy the wit of this character, enjoy how his mind works at first and then start enjoying the rest. So do you think that your work as an actor changed the way you direct things? To a certain degree, of course. I think all experiences, not just as an actor, but all experience in life will help a person with their direction in working with other people. So I think, for example, the fact I have two kids that parenting has also helped me in direction. You know, it teaches you patience at times if nothing else. (Laughs). But there are many things like that. You keep learning. So, acting of course is something that has taught me about the insecurity of actors, at times a little more about the process of how to be directed when you’re an actor, so yeah there is a lot of learning in that as well, for sure. What do you think audiences are going to love about this new Don do you think? I don’t know if I can put it in any specific kind of order but I think for sure Shah Rukh, the action in the movie, the suspense in the film. Those are probably the three top things so to speak that come to my mind. I guess Merry Christmas and I hope you go and enjoy this film when it releases on the 23rd. It’s been made purely keeping action and entertainment in mind. So I hope it manages to do both for you.